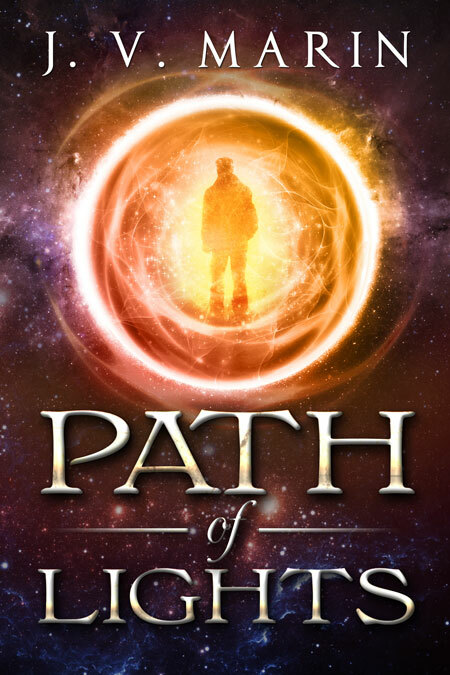 Beetiful designed the book cover for Path of Lights by J. V. Marin. On the planet Droesera, in the distant future, human beings are the slaves of an oppressive alien race known as the Gao’tabaahks. The Foretelling has told of a human who dreams, despite that the race is no longer able, and this person has the capability to halt the reign of the Gao’tabaahks. Jakob Vetu is one of the enslaved and is able to dream. He longs for freedom, but it’s simply a fantasy until a woman called Kai Adelon is thrown into his life. Together, they plot to free the human race of their enslavement, but how will they overcome this all-powerful alien race? Can they survive the trials and dangers that abound while struggling against constant hunting by their enemies? Will they be able to cope with the startling truths they find about themselves? 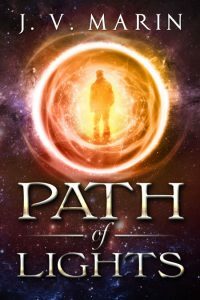 In order to save humankind, they will need to navigate a distant galaxy as they battle for their lives in an attempt to transform the fate of the human race.